Designed for chocolate lover. Chocolate brownies at the bottom, smear with rich chocolate mousse. 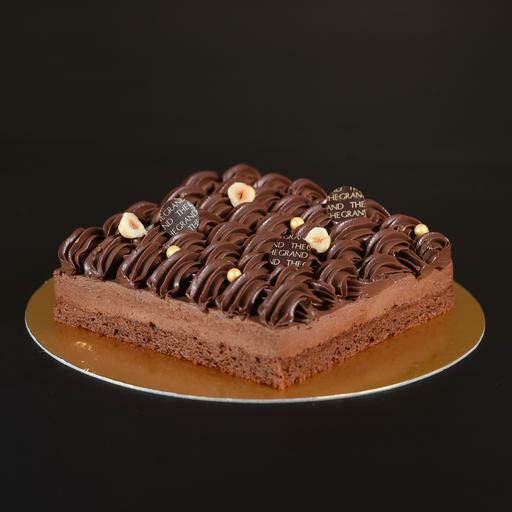 Laced with chocolate cream, decorated with nuts of hazelnut and chocolate pearls. Contains eggs, flour and nuts.